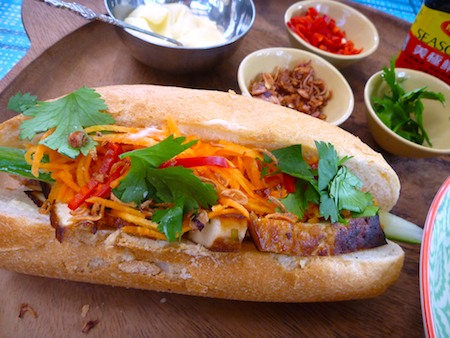 I love banh mi but have never tried the vego version. Thanks for the recipe Elizabeth. Looks delicious. It is really good, particularly with the hot weather we’ve been having lately that you’ve managed to escape. Beautiful stuff for summer! 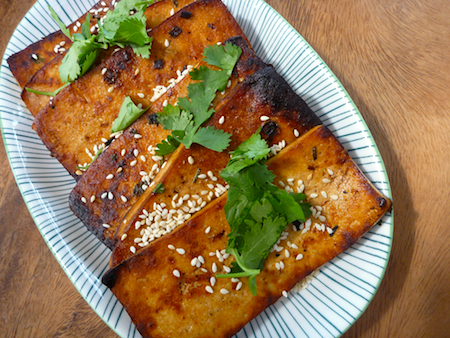 Your tofu marinade looks awesome. They are a brilliant snack to make at home. Yes! Sounds like the perfect summer lunch. Oh, those fried shallots are amazing! I bet they’d add something really special to this. I am a notorious onion hater but I will make every exception in the rulebook for fried shallots. I’m always amazed when people don’t like onion – but any kind of crispy fried onion is irresistible. Hi Elizabeth! I just nominated you for the Shine On Award. I just discovered your blog and am excited to read all of your posts! 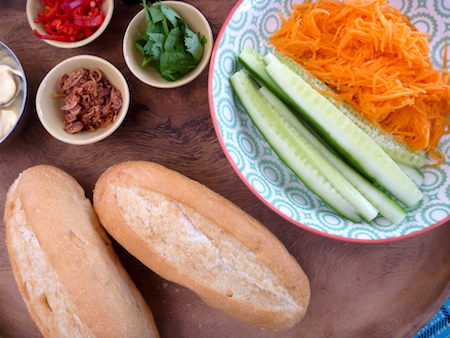 The banh mi looks fabulous! I am a big fan of Deborah Madison, and also love her sesame marinade. Thank you. Lovely to discover your blog. Do try they are simple to make and fantastic party food. 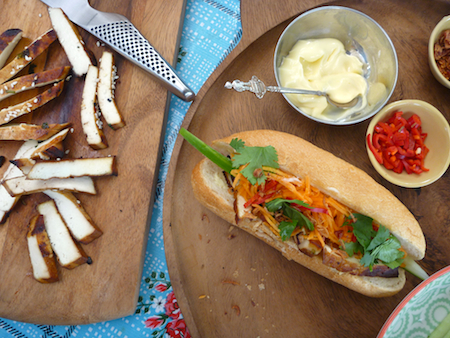 As a big fan of the pork banh mi, I was very excited to see these on the picnic table at Elizabeth’s house. 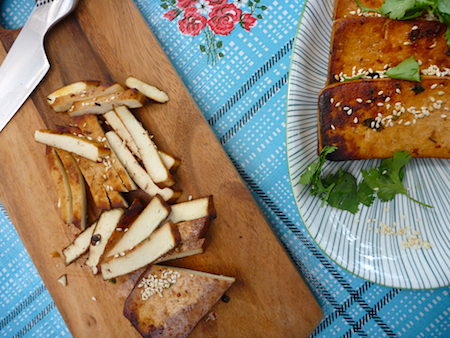 The marinated tofu was delicious and worked perfectly with the traditional fillings. The added fried shallots and mayonnaise (essential!) gave this version something extra and everyone loved them. Thanks Lizzy for another great feast! 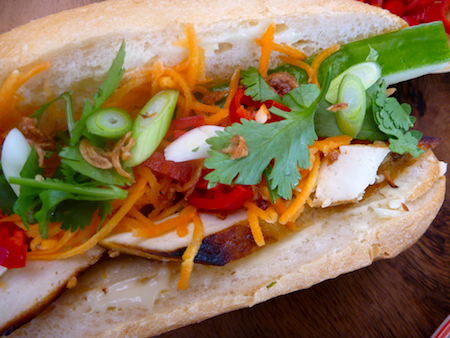 This looks fantastic, it will be perfect for something delicious to eat in this ridiculous heat! Yes it’s perfect. I’m in Melbourne at the moment enjoying their heatwave flying into Wagga on Thursday for more heat and then back to Sydney on Sunday just in time to catch the heatwave when it hits there. So it’s all about eating for the heat.